The White law Group is continuing its investigation involving former financial advisor Scott Newsholme. 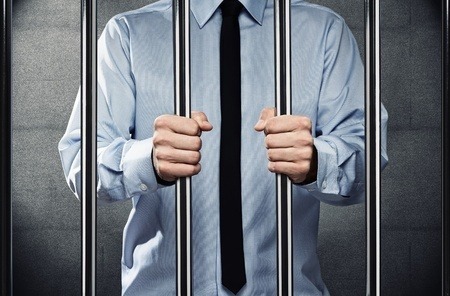 According to reports last week, New Jersey broker Scott Newsholme was sentenced on November 20 to eight-and-half years in prison for allegedly defrauding clients out of more than $3.1 million. According to the U.S. Attorney’s office in Trenton, New Jersey, between 2007 and 2017, Newsholme, 43, allegedly stole millions of dollars from his clients, resulting in net investment losses of more than $1.8 million. He allegedly concealed his scheme by diverting incoming investment funds to pay other clients who had requested to withdraw funds from their own accounts. Newsholme allegedly used the money his clients gave him to invest for personal expenses, including deposits into his bank accounts, furniture, vehicles and debits at casinos, according to the U.S. Attorney’s office. According to the U.S. Attorney’s office, Newsholme, of Farmingdale, N.J., was charged with mail fraud, wire fraud, and securities fraud in September 2017, and was released on bail. According to reports, law enforcement then discovered that Newsholme was continuing his fraud scheme while out on bail, and he was charged again. His bail was subsequently revoked, and he was detained pending trial. FINRA barred Newsholme in 2014 from working in the securities industry. The Securities and Exchange Commission also barred him in April of this year. The White Law Group is investigating potential securities fraud claims involving Scott Newsholme and the liability his former employers may have for failing to properly supervise his alleged activities. Brokerage firms have a legal responsibility to adequately supervise the business activities of their employees. If a broker engages in a scheme that misleads clients the brokerage firm that employs them may be liable for negligent supervision. When brokers make unsuitable investment recommendations or squander client funds, the brokerage firm that employs them may be liable for failure to supervise and responsible for investment losses. If you suffered losses investing with Scott Newsholme, The White Law Group may be able to help you. For a free consultation with a securities attorney, please call our offices at 888-637-5510.